GREAT Northern Railway (Ireland) 4-4-0 No. 85 Merlin was back to winning ways on June 4 when it worked the Railway Preservation Society of Ireland’s ‘Midland Compound’ railtour from Dublin to Maynooth and return. May 28, and attention was also given to the lower stays inside the firebox. As a precautionary measure ‘K2’ 2-6-0 No. 461 was lit up along with No. 85 on the Friday before the tour, but after successful trial runs on the Saturday morning, which took the 4-4-0 onto new ground at Clonsilla and Dunboyne/M3 Parkway, and an afternoon run to Maynooth, No. 461 was stood down. 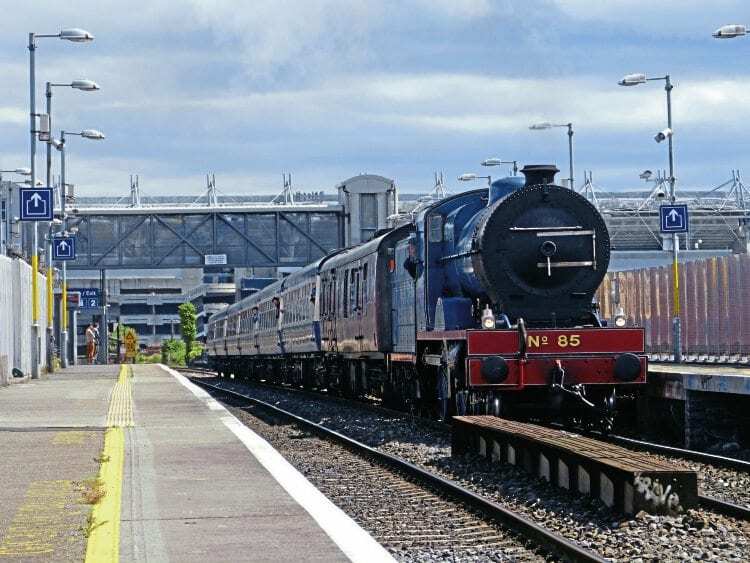 Some 220 passengers joined Sunday’s train at Dublin Connolly for its 14.00 departure; the train stopped twice en route at Navan Road Parkway and Clonsilla to check No. 85’s bearings, with no problems found. Arrival at Maynooth was on time, and after a quick run round the train left again according to the timetable. Once again a stop was made at Clonsilla to check Merlin’s motion, with Dublin being reached on time. No. 85 performed well, giving the RPSI confidence ahead of the 4-4-0’s role on the Steam Dreams’ ‘Emerald Isle Explorer’ in mid-June.